After all the hard work and effort, you’re finally ready to introduce your small business to your target market. You’ll need to decide which grand opening ideas will be best suited to your small business to raise maximum awareness. Planning the grand opening for your small business is exciting but, in order for you to reap the most benefits, you should be clear about what you want to achieve when hosting your opening event. Brand awareness – Your grand opening can be used to communicate what your business stands for. Your branding needs to be clear and consistent so that visitors can instantly recognize your business, products, or services. Customer buzz – Consumers are exposed to hundreds of small businesses. You should use your grand opening to show why your business is different. Perhaps yours is the first of its kind in your community? If a similar type of business already exists, use your grand opening to let potential customers know why your business is different and why they should choose you. Relationship-building – Business is about building relationships – not just with customers, but with your wider community too. When considering grand opening ideas for your small business, think about events that will help you to build relationships with other local businesses and representatives from your community, for instance, the head of your Chamber of Commerce. Preparation is vital when thinking about grand opening ideas for your small business. To get the most out of your event, you should leave sufficient time to ensure that everything is in place and goes according to plan. Set a budget – Budgeting for a grand opening is important because it could be easy to overspend. Set your budget in advance by reviewing your business forecasts. The first few months (or even years) of a small business can be financially challenging. Include some leeway in your grand opening budget to cater for the unexpected. If this is your first time planning an event, there are likely to be unforeseen expenses. Therefore, add a buffer to your budget and don’t go beyond this figure. Create a schedule – You’ll need to get familiar with scheduling if you plan to hire staff in your small business. Implementing your grand opening ideas will provide the opportunity for you to get accustomed to creating timetables where people have to do specific tasks. Before allocating times and tasks for everyone that’s involved in your grand opening, you need to decide on a date. Check what’s happening nationally and locally when selecting your date to avoid clashes with major holidays. Apply for permits – The cost of special licenses and permits should be added to your budget when planning the grand opening of your small business. You need to check with federal and state agencies for advice on which permits are required. Design flyers – Even in the age of social media, physical flyers are still effective when promoting an event. Promotion of your grand opening should include both online and offline efforts. Design flyers and coupons to hand out before your event. 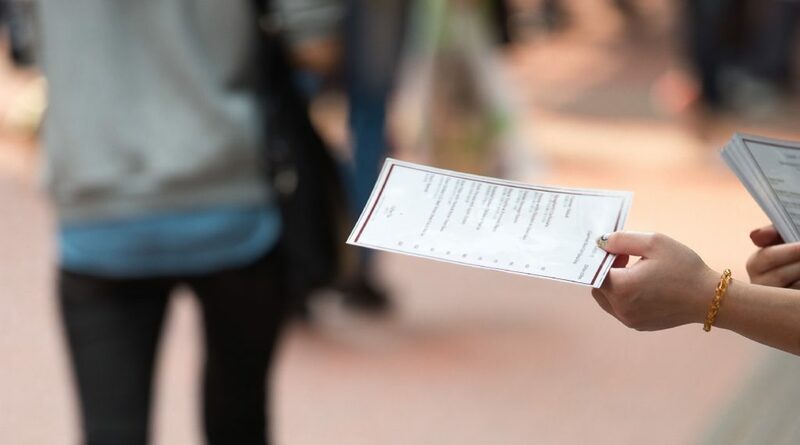 You could budget for someone to distribute your flyers and coupons to local homes. Try to make your flyers and coupons as attractive as possible, so they will stand out amongst the crowd. Get social – Social media can significantly increase the reach of your small business. A social media campaign to target your audience is a must when promoting the grand opening of your small business. Your initial planning should give you an idea of the best social platforms for your business, so you’ll be able to better target your potential customers. Whether you use Facebook, Instagram, or Twitter, a well-thought-out social campaign will inform the right people of your grand opening. If you already have Facebook followers, why not create a Facebook event to publicize your grand opening? Also, consider using a hashtag campaign on Twitter or Instagram to draw attention to your business and your big day. Your online marketing should also include contacting local social media influencers who can promote your event to their followers. Include traditional media channels – Local newspapers and radio stations still enjoy a high level of popularity because they help residents feel connected to what’s happening in their community. Take advantage of these channels by reaching out to your local radio station or newspaper to let them know about the grand opening of your small business. Think about a creative news angle to get them interested. For example, you can talk about the history or motivation for your business idea. Create a media kit with a press release, a brochure and other useful information to send to the local media. Attract influential people – As well as ensuring that your potential customers attend your grand opening, it’s also advisable to invite influential people. Consider inviting your local city councilors or mayor since this can significantly raise the profile of your event. It’s also a good idea to build relationships with people who have influence in your local community so that your small business will be at the center of their minds. You could also think about inviting a local celebrity to your event. This person could be an online social media influencer with a significant following or a TV or radio personality. Generate leads – Successful grand opening ideas should include ways to develop long-term relationships with your future clients. Plan for different ways that you can stay in touch with visitors after they have attended your event. Design an activity around getting social media likes and shares or ask for email addresses to send them information about special events or promotions. Lead generation at the grand opening of your small business must be done in a sensitive and fun way. Consider offering an incentive, so that your visitors feel less pressured to hand over their details. Recruit helpers – If you run a one-person business, you’ll need to recruit help to assist in your grand opening. Where your small business has already taken on employees, you should prepare them to look after your guests. The experience your visitors have on the day will leave a big impression on them. Be certain that whoever is representing your business is knowledgeable, courteous, and helpful. Before you put your plans in place, you need to decide on which type of launch event will best suit your business. Here are 17 grand opening ideas for your small business. The suggestions from the following list can be used on their own or you can combine different elements to create a unique experience for your guests. 1. Fundraiser – Teaming up with your chosen charity is an effective way to generate feel-good vibes for your small business. Your chosen charity could help promote your grand opening to their patrons to encourage more people to attend. 2. Record-breaker – For something really unique, think about finding a world record to attempt to break. The Guinness World Records has remained popular and they even have a team specially dedicated to business to help you with record-breaking ideas for your grand opening. 3. Retro event – Depending on the age range of your demographic, you can choose a decade that would resonate with them to recreate. Dress your staff in the appropriate clothes and include key pieces of memorabilia in your event. If you want to go further, you can book a famous singer or group from that decade. Should getting the real deal to perform be over your budget, you can book a tribute act instead. 4. Dress up challenge – Halloween is a favorite holiday for millennials. Use this fact as inspiration for the grand opening of your small business. If you’re mainly targeting millennials, design a theme around a popular genre. For example, you can encourage guests to dress up as their favorite reality TV star and post pictures on social media. The person who receives the most interaction will get a prize. 5. Dance team – Dancing remains one of the most popular forms of entertainment. Put on a show at the grand opening of your small business by finding out whether there are any dance troupes in your local community or school. You may be able to hire these dancers for free. If you intend on having press at your event, this will be a big selling point for the troupe as they will benefit from this free publicity. 6. Band – Similar to hiring a dance team, you can also find out whether your high school band will be willing to perform at your grand opening. If you’re after something more professional, why not ask your local band instead? You may be able to book them at a discounted price if you’re able to offer them free publicity through the press that will be in attendance. 7. Celebrities – The term ‘celebrity’ is becoming increasingly common, so it wouldn’t be difficult to find and hire a local celebrity for the grand opening of your small business. Don’t limit celebrities to just radio and TV personalities. As mentioned above, consider inviting bloggers and online influencers because they’re the ‘new’ types of celebrities. 8. Circus acts – It’s not necessary to hire a range of circus acts for your grand opening. A clown is still a popular way to add fun to events. This is an especially good idea if your small business is geared towards families and children. To make having a clown more effective, hire one that makes balloons, so kids can have a branded keepsake from your event. 9. Goody bag – Treat your grand opening guests like Oscar attendees by giving them a treat bag from your business. Although the contents of the bag don’t have to be as lavish as those handed out at the Oscars, they should contain useful treats. Ideally, your goody bag will contain branded items and samples from your business that your guest can use or hold on to as keepsakes. 10. Branded cups and mugs – Americans drink an average of two to three cups of coffee per day. That’s good news for your business because providing your guests with a cup or a mug with your business logo is an ideal way to promote your business. Cups and mugs are used daily, so your business will continue to receive exposure long after your grand opening has come to an end. 11. Raffle a getaway – Team up with a local business to offer guests the opportunity to win a free weekend getaway. As a small business, it would be ideal to partner with a boutique hotel in your area. Boutique hotels are normally small businesses as well and understand the value of forming valuable partnerships. 12. Limited prizes – Encourage guests to arrive early at your small business grand opening by allocating prizes to a specified number of visitors. For instance, the first 50 people could receive a free t-shirt. To add to the appeal, add the designated number of first visitors into a prize draw to win a bigger prize. 13. Guess the number – Fill a jar of relevant items that are relevant to your business and ask attendees to guess how many are in the jar to win a prize. If you want to create a ‘wow’ factor, choose to have a huge jar to draw more attention to your game. Also, choose colorful items, like buttons (if you’re in a retail business), for a better effect. 14. Extreme discounts – Offer your grand opening guests an exclusive discount. Choose specific items and provide a ‘too good to be true’ deal. You could reduce some goods and services by 50% or more to entice your guests to try out your offering. 15. Pop-up shop – With the relevant permit, you can open a pop-up shop outside your store. This could be a simple display of your best products to entice passers-by to take a look inside. 16. Local artists – If you’re looking for a simple way to build a good relationship with your community during the grand opening of your small business, think about promoting local artists. Use art created by the locals for your business premises. You should label the art with the details of the artists, so that your guests can make contact if they’re interested in their art. Using local art is a great way to give your small business a distinctive feel. 17. How-to’s – Your grand opening ideas could include a class to teach guests how to develop a skill relating to your business. A bakery can teach how to decorate cupcakes and a florist can show guests how to make a perfect flower arrangement. To maximize sales, prepare gift packs with everything your guests will need to replicate what they learned at home. 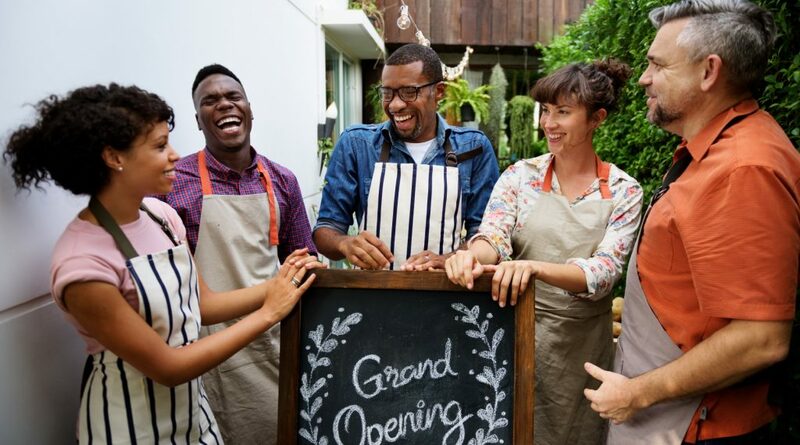 The 17 grand opening ideas for your small business above should equip you to host an event that will excite your guests about doing business with you. Keep the momentum of your successful grand opening going by sending follow-up thank you emails (if guests provided their email addresses). Post images of the event on social media and encourage people to share and like the posts. You want to remind your guests that having a good experience with your business isn’t a one-off. If planned and executed properly, the grand opening of your small business will give the attendees motivation to choose you over your competition. Have you tried any of these grand-opening ideas? Do you have any more ideas to add to the list? Let us know in the comments below! The post 17 grand opening ideas for your small business appeared first on Deputy.